Bolaji Balogun is the Chief Executive Officer of Chapel Hill Denham and is one of the leading deal makers by volume and value of successfully completed transactions in Nigeria, over the last decade. Bolaji has twenty-eight years of experience in financial services and mobile telecommunications. He spent eleven years within FCMB Group, in investment banking and securities trading, leaving the business in January 2001. From April 1993 to January 2001, he was Executive Director and Chief Operating Officer at CSL Stockbrokers (part of FCMB Group). Bolaji was also Executive Director at FCMB Capital Markets from January 1996, where he led advisory teams in major corporate and complex transactions. Bolaji left FCMB Capital Markets in January 2001, to become a co-founder and Director of Econet Wireless Nigeria, now Airtel Nigeria, which was the first major private infrastructure project in Nigeria. He led the capital raising and license bid auction process for Econet Wireless Nigeria’s USD285million GSM license. He was pioneer Chief Business Development and Strategy Officer and in October 2001, was appointed Chief Marketing Officer. The US$1.67 billion sale of Econet Wireless to Celtel in 2005 remains Nigeria’s single largest successfully exited private investment. 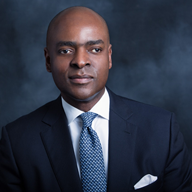 Bolaji left mobile telecommunications and returned to investment banking, when he founded Chapel Hill in 2005. Bolaji is Chairman of Lafarge Africa Plc and a Director of Trustfund Pensions Plc, one of Nigeria’s largest Pension Fund Managers. He was formerly Chairman of Nahco FTZ Limited, a former Director of Nahco Aviance Plc and NASD Plc. He was appointed to the Johannesburg Stock Exchange, Africa Advisory Board in September 2009 and was Chairman of the investment banking trade group, the Association of Issuing Houses of Nigeria from September 2010 to July 2014. Bolaji is an Economics (Honours) graduate of the London School of Economics.